Christmas is on its way and the school halls are full of music! Every afternoon when I am walking down the hall, I hear first and second graders practicing Christmas songs for their Chrismas musical! It's definitely a great time to sing along with your children and help them learn various carols full of cheer, and Jolly Jingle is just the app to do so! 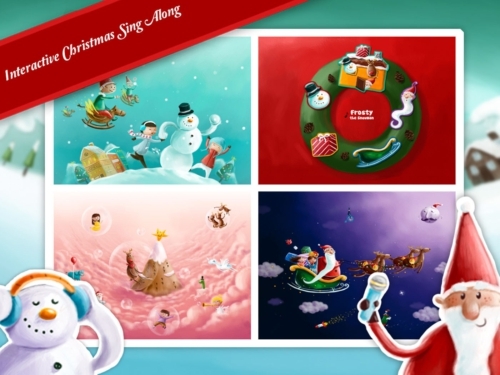 With written lyrics, fun animations, and multiple versions of various Christmas carols, this application is non-stop fun for the Christmas season! 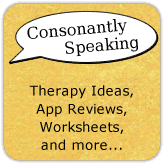 Continue reading to learn how to incorporate it into your therapy room! 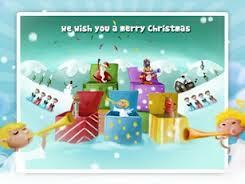 The Main Page of the application shows a snowglobe which images representing each song, a postcard to send the application's information to recommend it to a friend, and a home decorated for Christmas in the background. Instrumental Christmas music also plays in the background. Press on the snow globe to switch between the different songs. Once you have chosen the song you would like to play, press the button at the bottom of the snowglobe. An animated scene will then show with characters related to the song. The song will begin playing and the lyrics will show as well. Press on the different items on the screen for different sounds and animations to play. Press on the musical note to change the version of the carol to be played between a kid's choir, female solo, instrumental, or piano solo. Press on Santa's hat at the bottom of the screen to turn on/off lyrics being shown at the top of the application's screen or exit back to the Main Menu. The application includes multiple common Christmas carols. In addition, there are multiple versions of each song, which allows for the application to be used over and over! There are lyrics to help children learn how to sing the song. The fact that you can turn them on and off is great too! The fact that there are different interactive elements to the application to press while listening to the song makes it motivating to play for kids! I would love if on the Main Page, when selecting the songs, it stated in text what each song was for children to read. Also, because I was not sure at first what two of the songs were until I played them. Articulation/Fluency/Voice - Have students state or sing each song using their best speech sounds, fluency strategies, or vocal strategies. 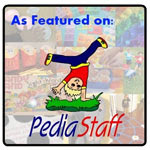 Receptive Language - Children can learn different Christmas-related vocabulary and describe different holiday traditions. Expressive Language - Have children describe a time they went caroling, saw carolers, were in a holiday musical, or a holiday tradition they participate in. Pragmatic Language - Talk about what the different songs/figurative language within the songs mean, what each child's favorite Christmas carol or tradition is, who each child's favorite Christmas character is, etc. WH Questions - After listening to a song, ask the child wh questions about different parts of the songs. 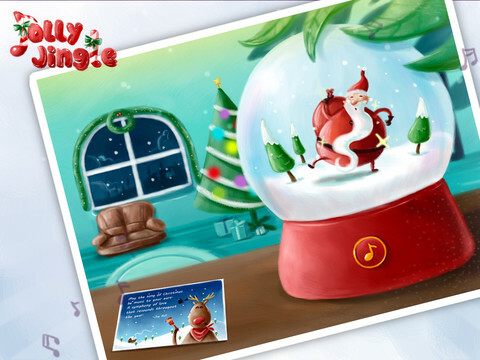 Jolly Jingle is available for the iPod Touch, iPhone, and iPad for $2.99. A free version is available that comes with Rudolph the Red Nosed Reindeer for you to try.